Tracey CostescuCommission Portraits & Original Artwork: New Rosemary Brushes & Chocolate...What More Could A Girl Want? New Rosemary Brushes & Chocolate...What More Could A Girl Want? The only thing better than creating art is receiving new art supplies in the mail...and when they through in some chocolate with the order, what could be better! This is my second order from RoseMary & Co and I am sure it will not be my last. 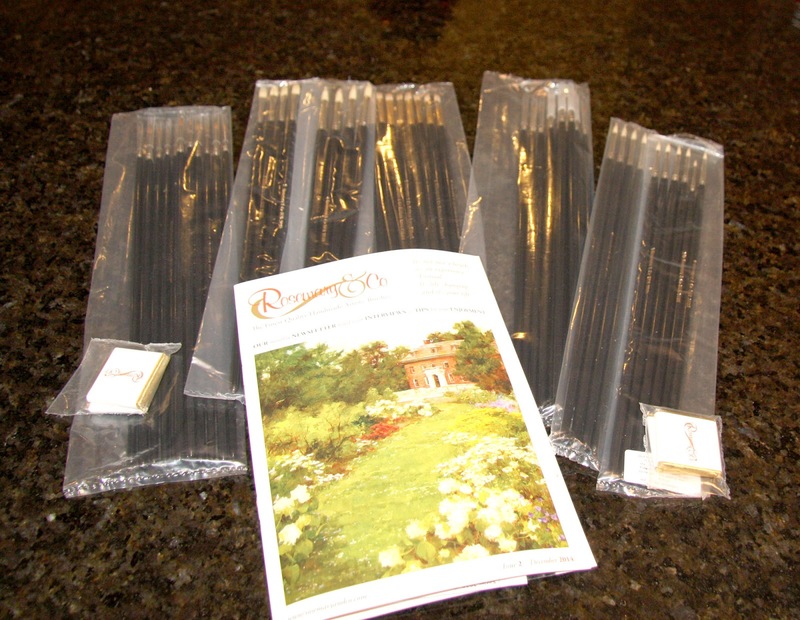 Last time I ordered the Ivory Long Flat brushes and LOVE them for plein air painting. This time I ordered several rounds and filberts from the Series 99 Pure Sable which I never thought I would do but I broke down and bought them as once the supply is gone, they will not be replaced. These brushes I plan to use for indirect painting in the studio and can hardly to try them out! Rosemary & Co apparently bought a huge supply of sable many years ago that was ethically sourced and this option is no longer available so I thought if I am every going to try sable brushes, this is it. I also purchased some of the Eclipse Filberts for indirect painting & the Series 2045 Chungking Filberts for plein air painting as well. The Chungking brushes are stiffer than the Ivory and while for me, I prefer the Ivory a friend and long time artist loves the Chungking so it is a matter of what you are used to I guess. I think they will be good for laying down larger areas with thicker paint so I will bring them along next time I go plein air painting....which will not be soon enough!